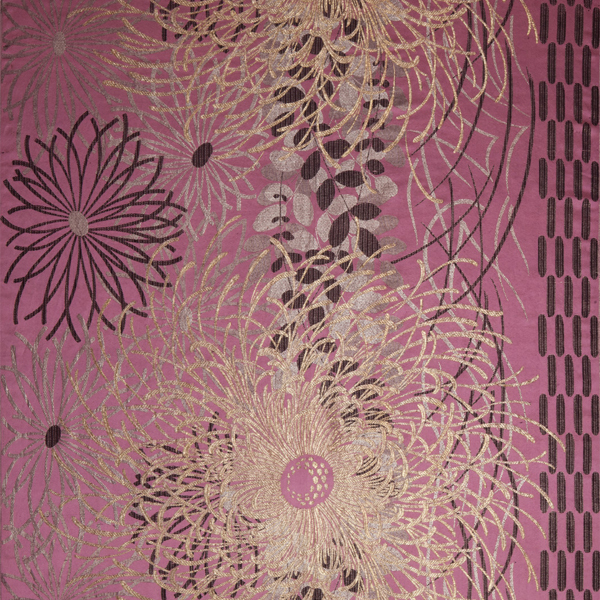 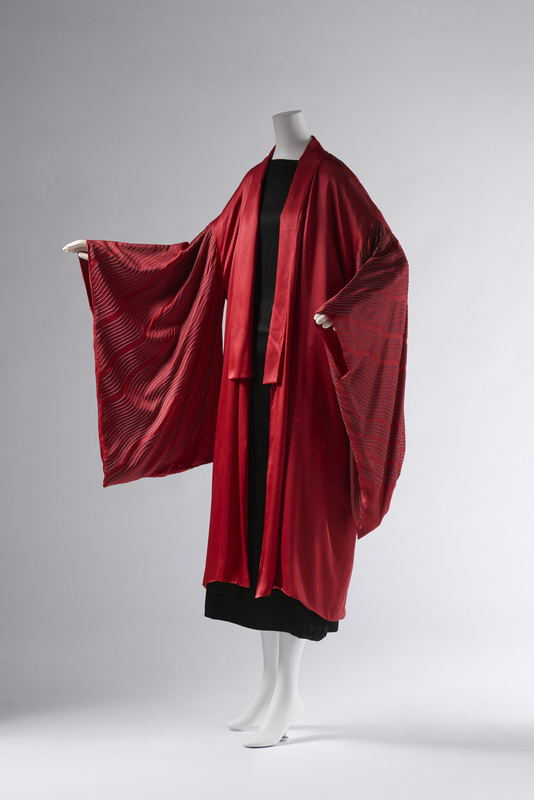 Red silk satin; embroidery of wave patterns with lavender and black silk thread and gold yarn at Kimono sleeves; red silk “habutae” lining. 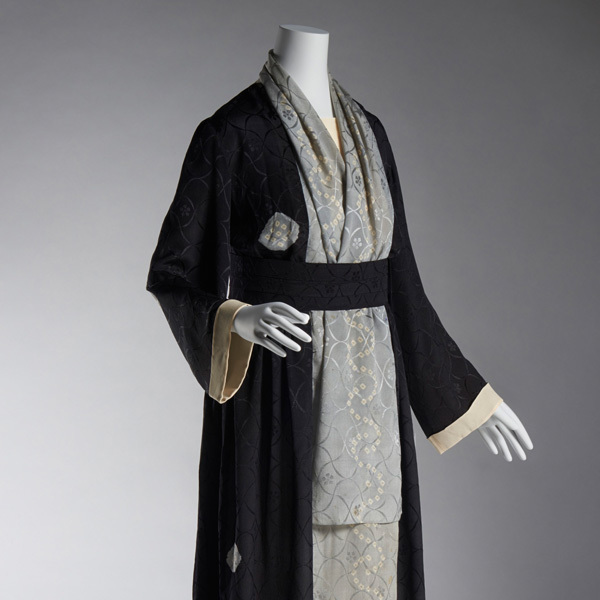 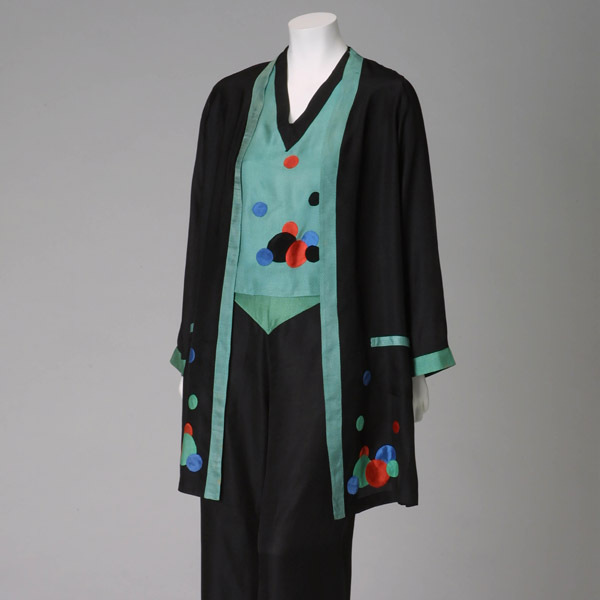 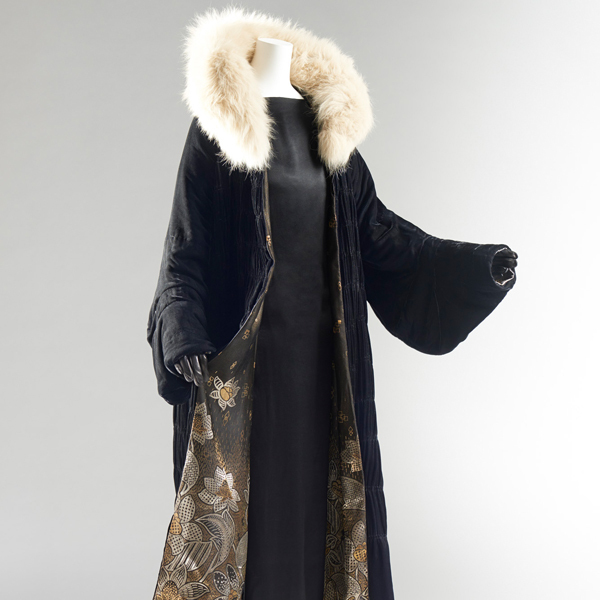 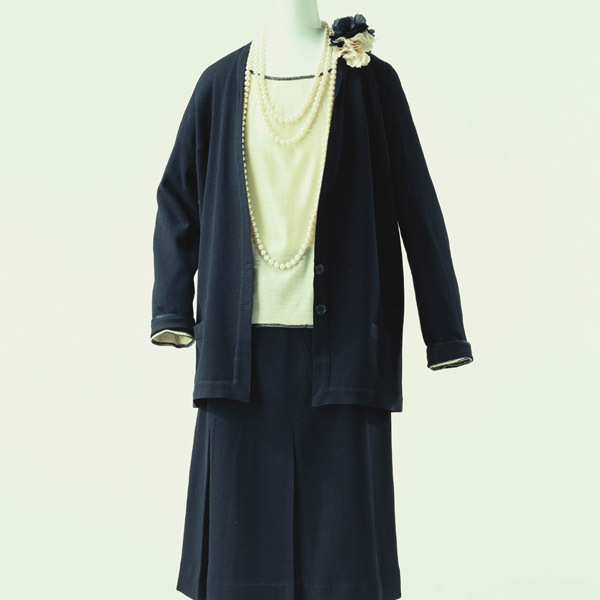 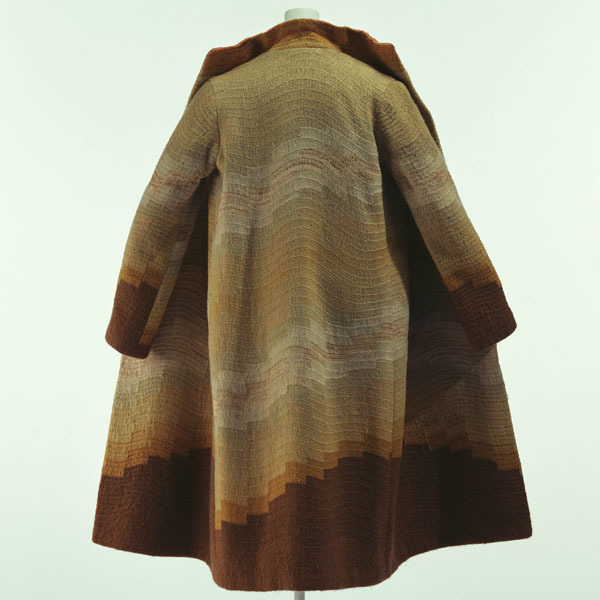 This evening coat in kimono style is the work of Jeanne Lanvin. 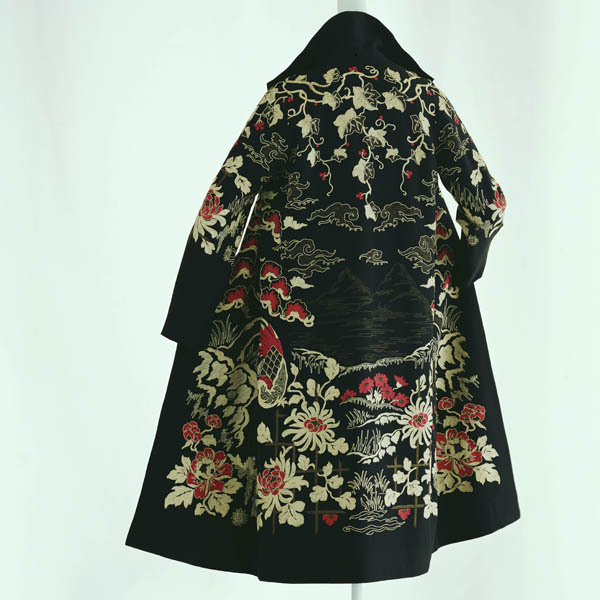 It is tailored similarly to a kimono, with openings at each side under the arms and at the body end of the sleeves like those of a kimono. 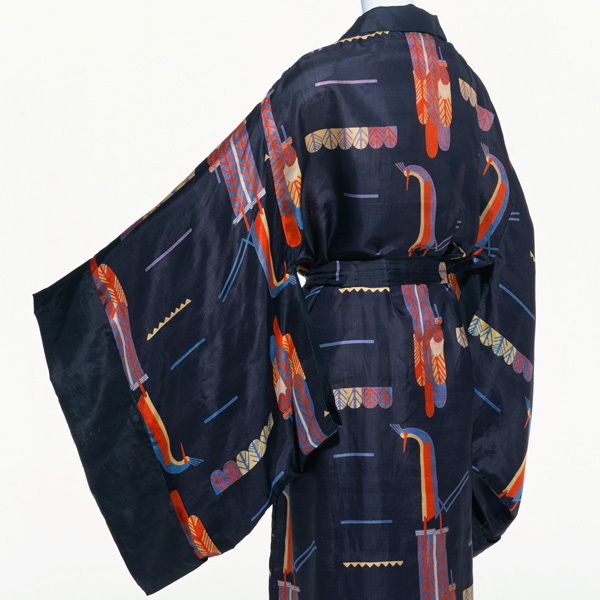 However, it does not have the overlap panels at the front of a typical kimono, and the back is a single piece, instead of having a central seam. 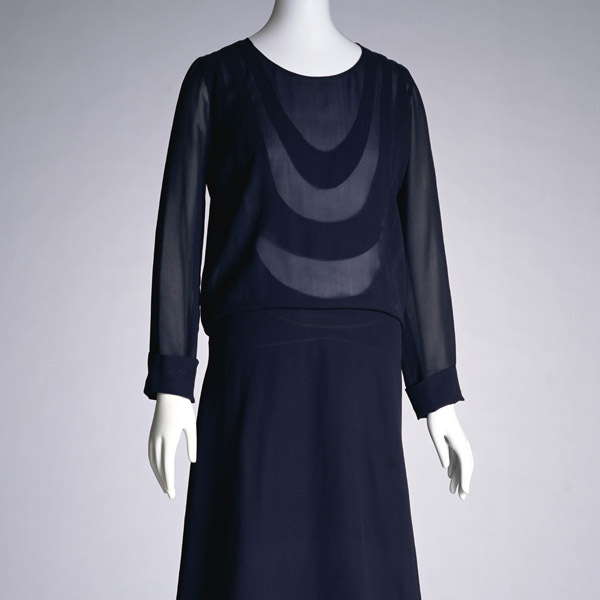 Also, the shoulder lines are sloping. 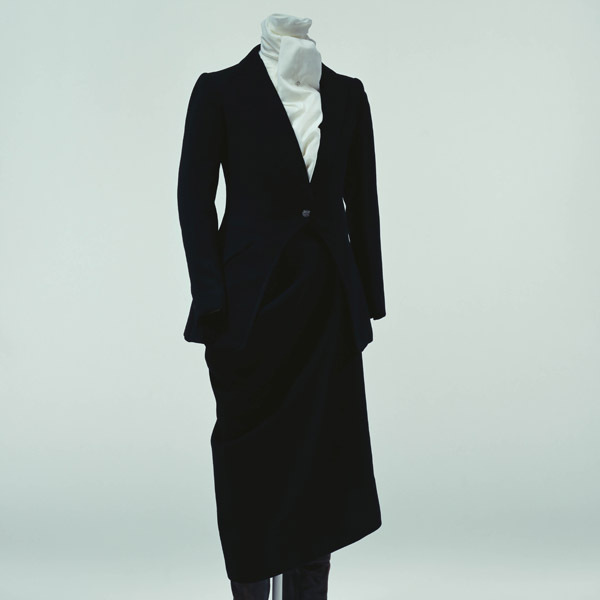 Nevertheless, the collar is folded outwards like that of a haori overcoat. 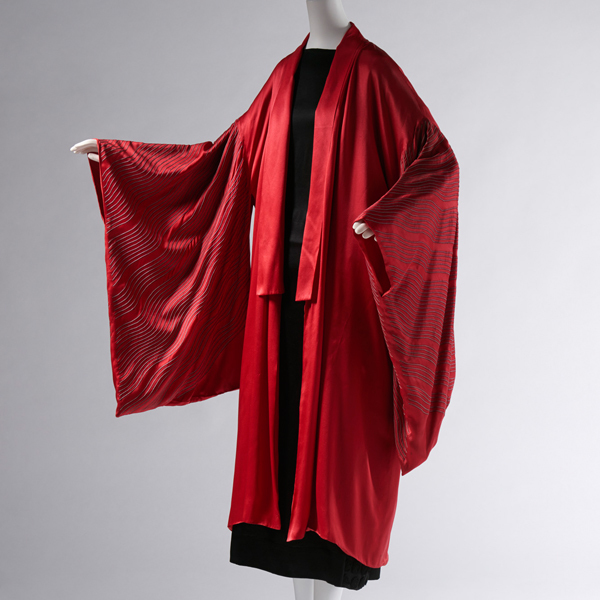 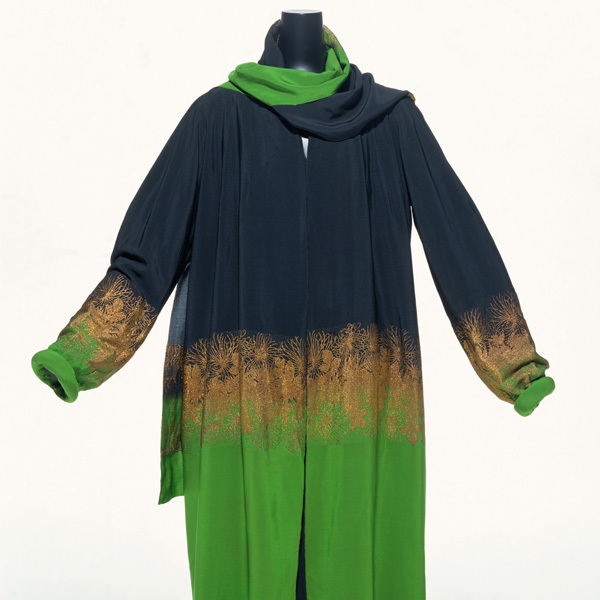 In short, this garment can be considered is a re-interpretation and restructuring of a kimono from a Western perspective. 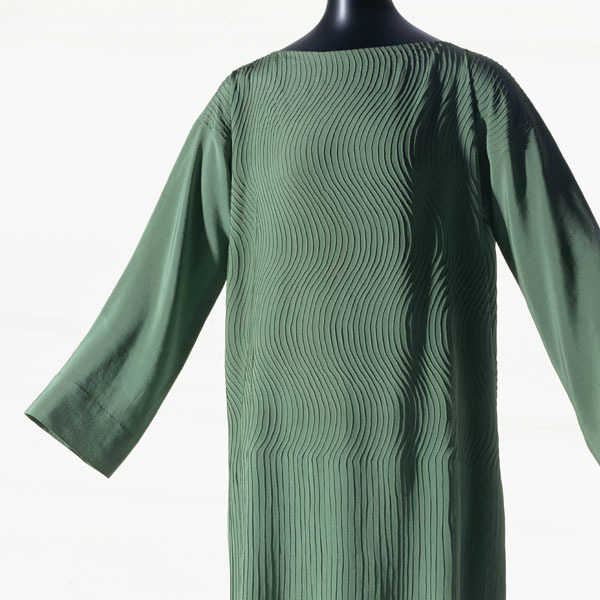 The only decoration is the embroidery of wave patterns covering both sides of the sleeves. 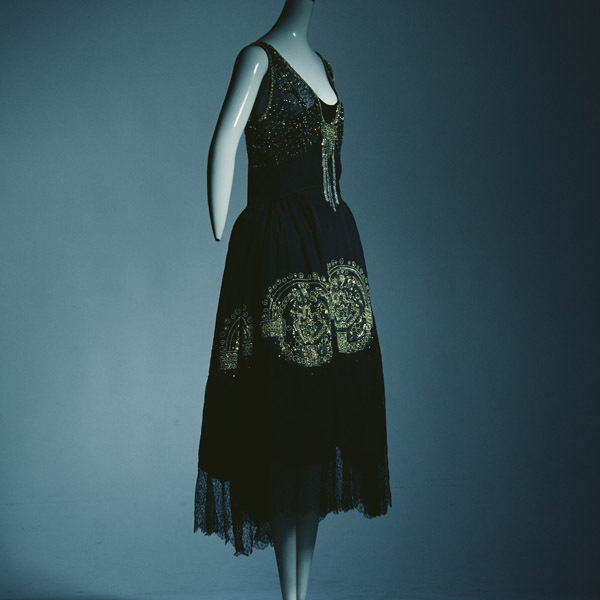 Fine chain-stitch in plain lavender silk thread undulates, flanked on both sides by outline stitch in black silk thread and gold yarn. 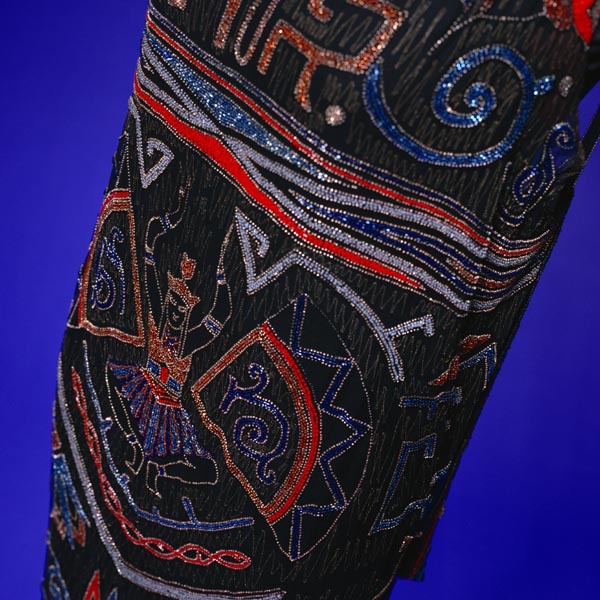 There are 64 such sets of embroidered threads altogether, in different lengths, providing this garment with a distinctive feature. 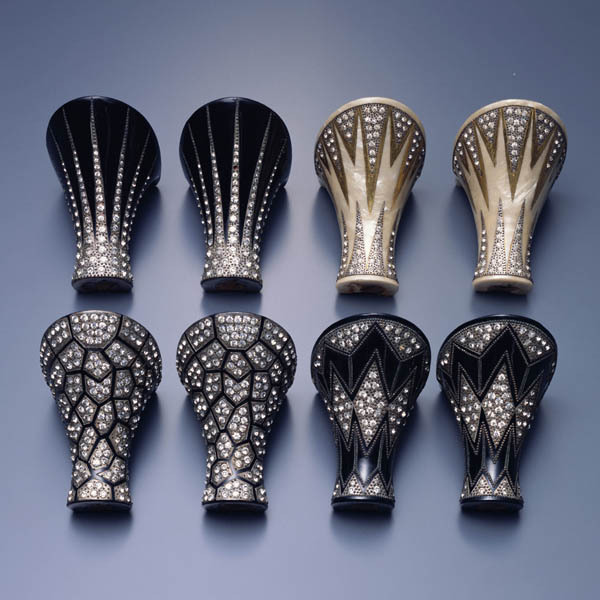 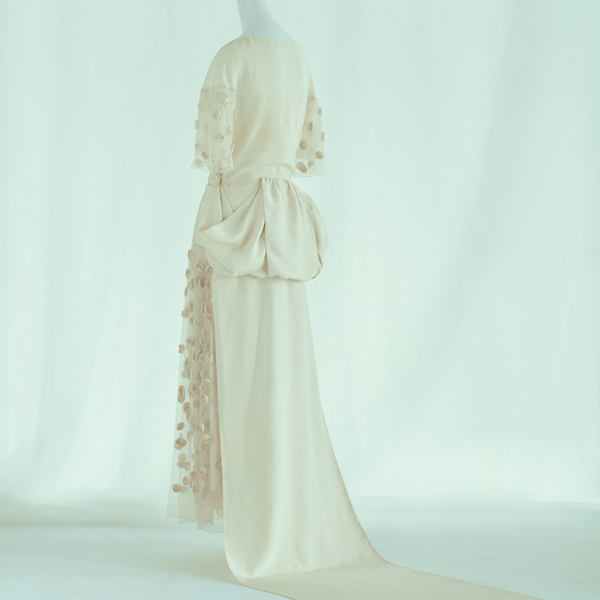 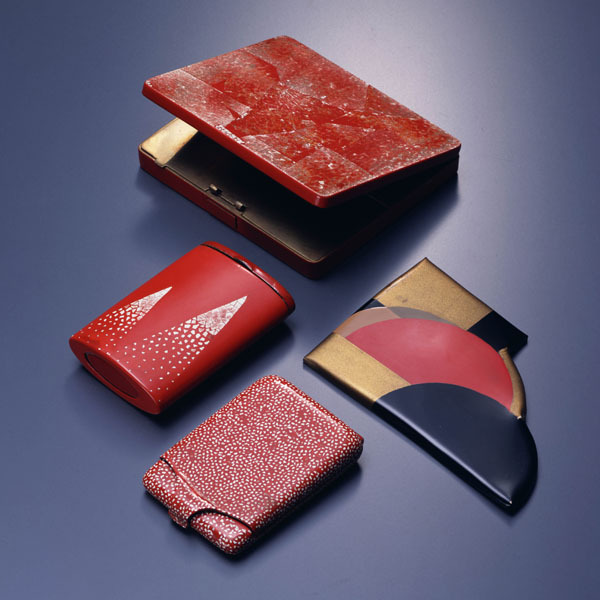 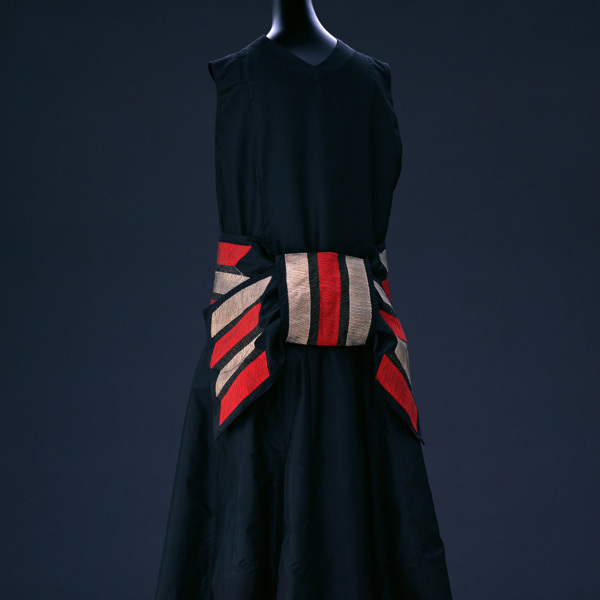 The precise stitching enabled by highly-skilled artisans appeared on Lanvin’s products in the middle of the 1920s, replacing decoration such as ribbons and lace. 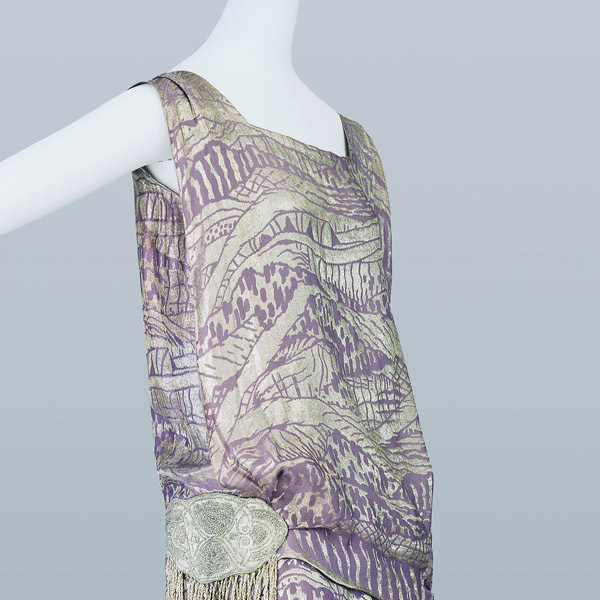 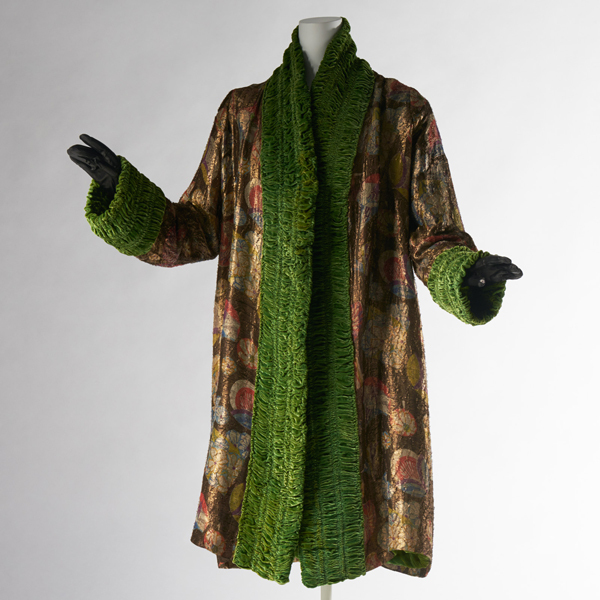 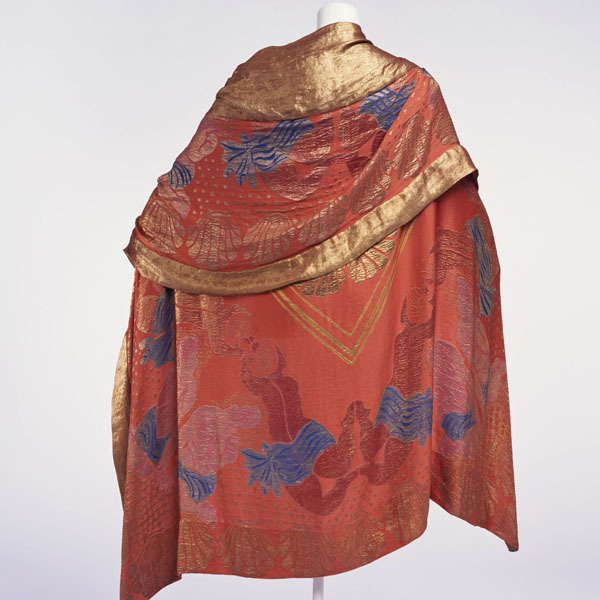 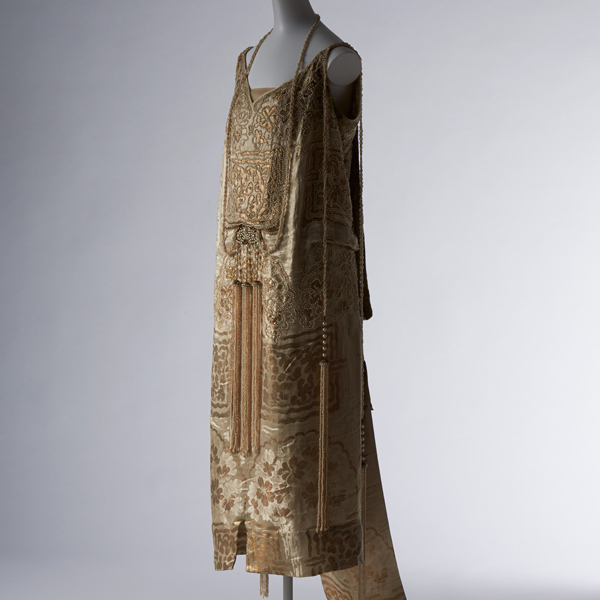 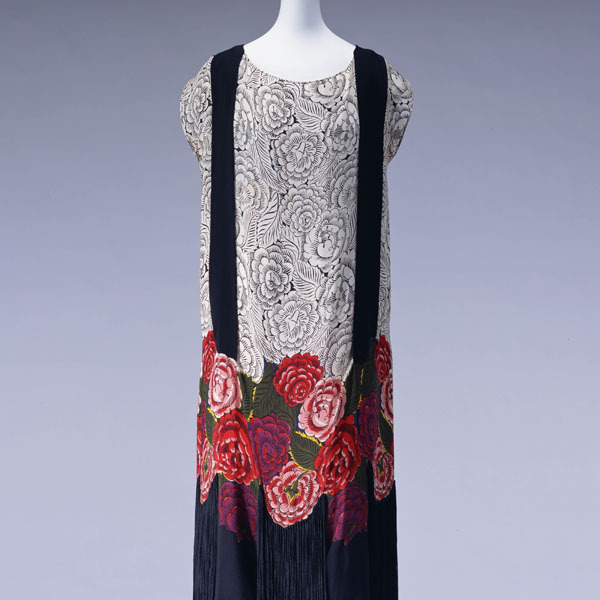 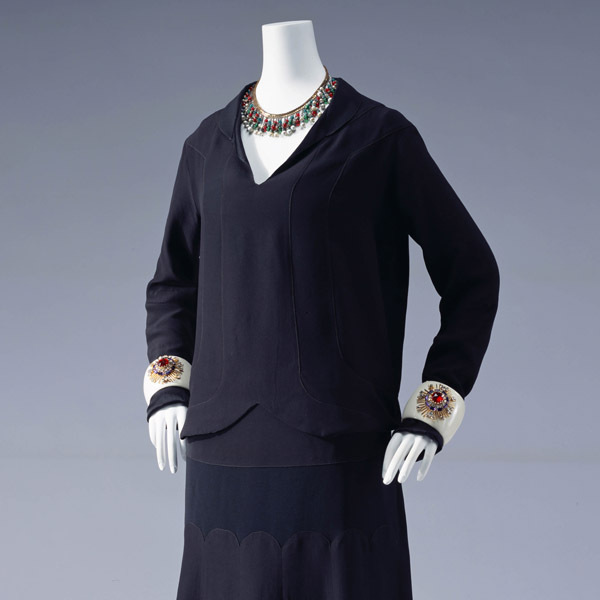 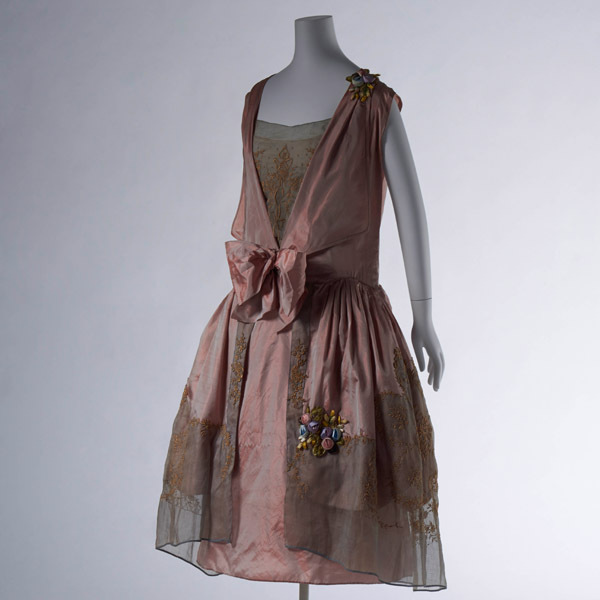 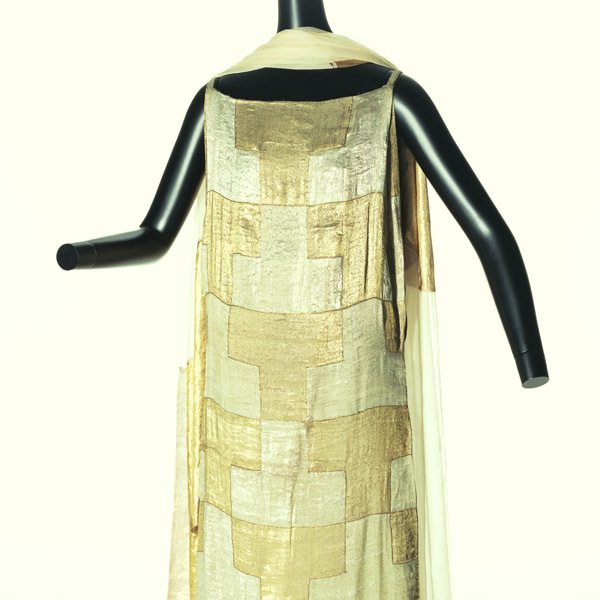 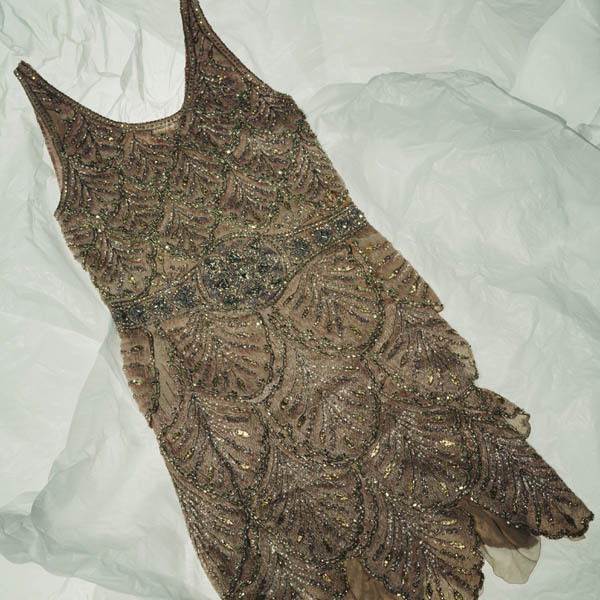 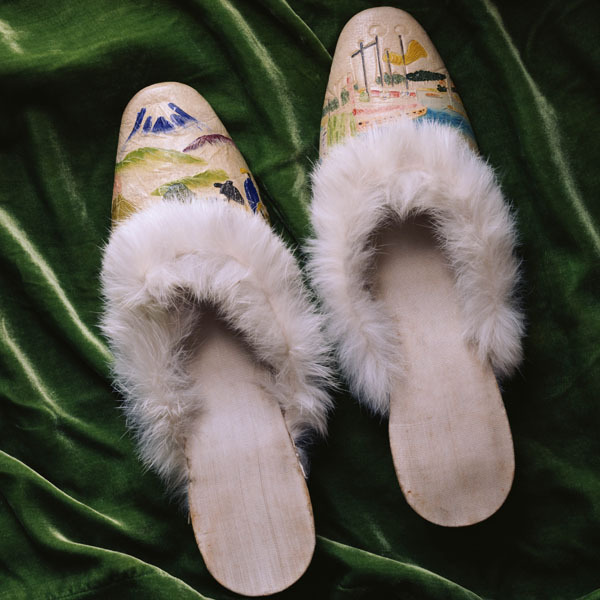 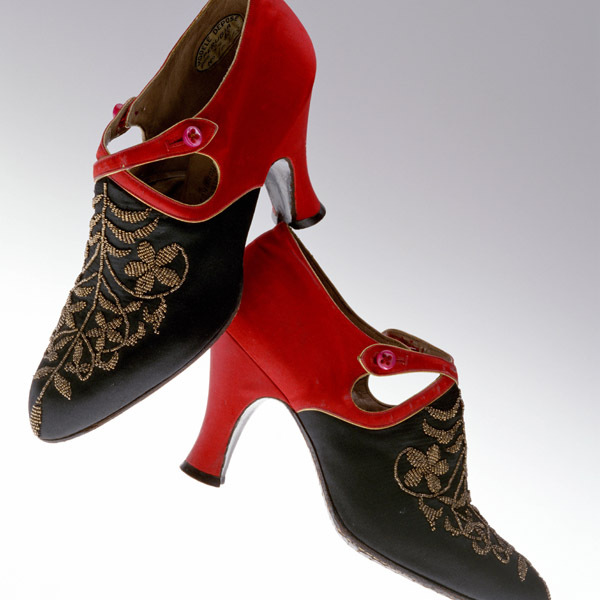 In the 1930s, such stitching became one of the maison’s representative techniques.